If We Want to Dance Past 40, Who's Really Stopping Us? 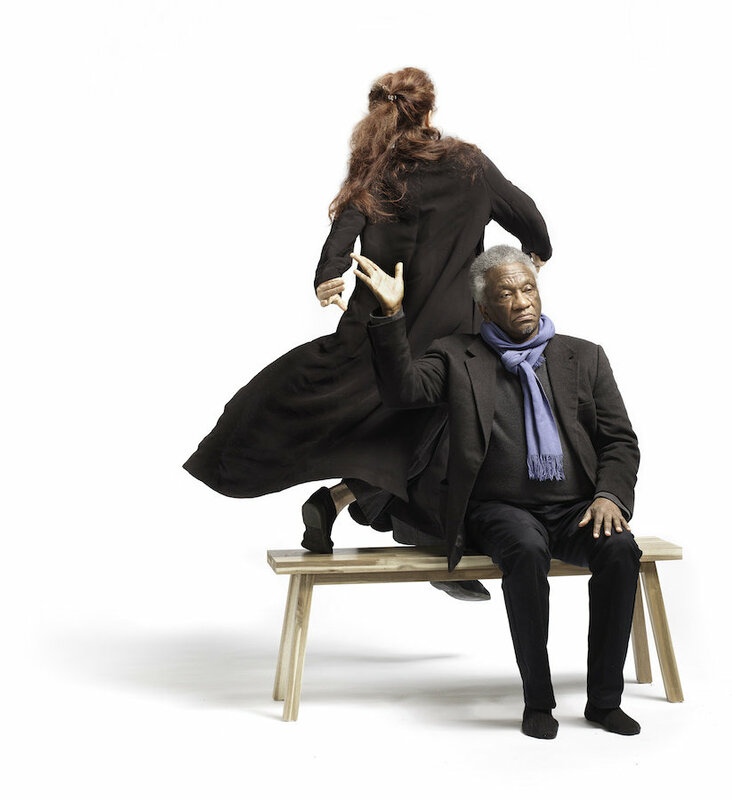 Donald Byrd and Beth Corning share the stage for What's Missing? Photo by Frank Walsh, Courtesy Corning. When I was approached to write on ageism in dance, I have to admit that after the initial honor of the invite, I suddenly felt old. I guess I fit the "qualifications" to write this. I'm 63. I've been professionally dancing and choreographing for some 40-plus years, and, in the process, have accumulated a certain amount of perspective on the field. After 20 years running Corning Dances & Company, in 2000 I suddenly looked up and realized I was 10 to 20 years older than my company members. The layers of nuance I was craving were not there; their albeit lithe bodies understandably lacked a base of worldly experience and expression. I couldn't present the kind of movement or conversation I wanted onstage. So I launched THE GLUE FACTORY PROJECT, which creates evening-length dance theater works on renowned performers over 40. The name alludes to the fate of retired race horses who were put down and their hooves used for making glue. The company is a vehicle for dancers who've been onstage for decades, and whose bodies and sensibilities could better echo my own maturing sentiments. Since its inception, nearly 40 artists have been involved, including American Ballet Theatre's Bonnie Mathis, Cullberg Ballet's Yvan Auzely, Arthur Aviles of Bill T. Jones fame and Graham dancer Peter Sparling. I wanted to work with dancers I didn't have to explain myself to as I might have to with younger performers. At the same time, I sensed this might provide a reflection of the "aging" general audience and public at large. I've received feedback that what I'm doing is "political," that I'm "influencing perception, changing bias, working outside the norm." Personally, I'm just working. And intend to keep doing so. Let's face it: There have always been many "isms" in dance. Too short, tall, wrong color, too balletic, modern, loose, tight, too FILL IN THE BLANK. Thankfully, over the past 30 years some "isms" have loosened. 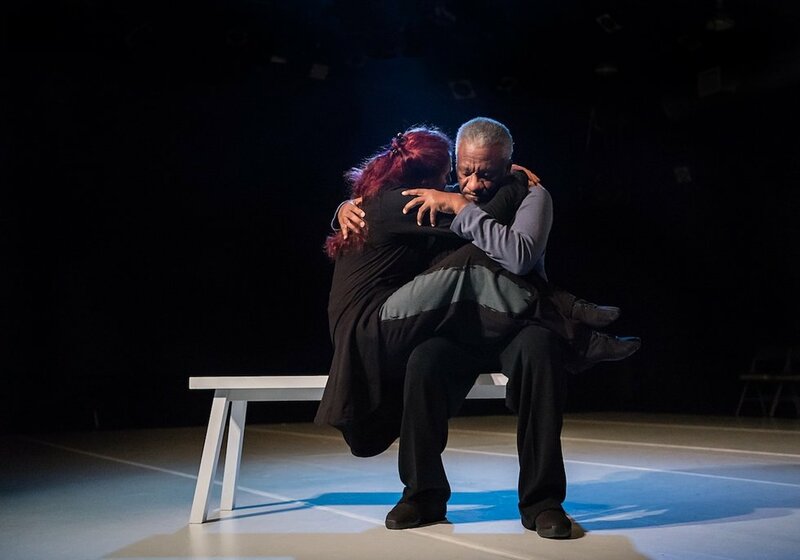 Consider those who tackled age before me: Jiří Kylián, who in the '90s began NDT 3, a company of explicitly older dancers (which unfortunately no longer exists), or PARADIGM, which features the talents of seasoned dancers in New York City. And, of course, there's Mikhail Baryshnikov, who regenerated his career in his 40s and beyond. For me, the question has always been about aesthetics, perceptions, expectations. What body and/or personality might "embody" the ideas I'm trying to explore? Yes, there are physical limitations to an aging machine, but I believe the trade-offs are worth it. "If you're looking for a more nuanced reality, ...then it's the older dancer with whom I prefer to work," says Corning, here with Donald Byrd. Photo by Frank Walsh, Courtesy Corning. In my late 20s, I created and performed in Stockholm, Sweden, alongside some of the best dancers in the world from Cullberg Ballet. I became especially aware of those who were retiring at 42. I kept wondering, Why would they ever do that?! So many were in their prime. They exuded a sense of performance no younger artist could manage. They drew my eye, captured my imagination and deeply inspired me. I remember thinking, I want to look like that onstage. After a recent production I did with Donald Byrd, a young dancer noted, "Perhaps my career doesn't have to end as soon as I thought!" Today, there are only a handful of major companies who'll hire dancers of "that" age. Why? Is it our ongoing infatuation with youth? Athletics? Physical feats? Then, yes, a younger dancer might fit your bill. But if you're looking for a more nuanced reality, the ability to express the depth and breadth of this life, bodies that can imbue each and every gesture, attitude and the frailty of our mortal selves, then it's the older dancer with whom I prefer to work.